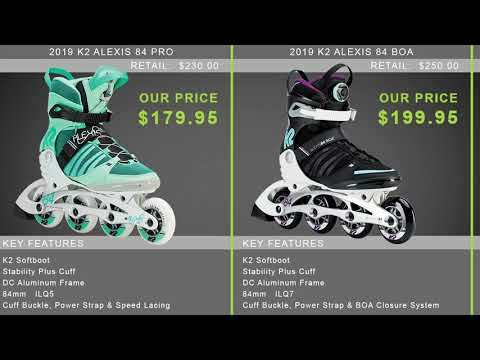 The K2 Alexis 80 Pro Women's Inline Skate is a great first skate for those looking to get into fitness skating, but is also enough skate for the intermediate skater looking for something that can perform but is inexpensive. The Alexis 80 mixes K2's patented Softboot technology with a stability cuff to offer a comfortable fit with the proper amount of support. Inside the Softboot is an antimicrobial footbed boasting arch support and will work as a foundation to prevent foot pain when skating. ABEC 5 bearings fit into the 80mm wheels giving a smooth roll that will take on chattery pavement with ease but won't be too much to handle for less experienced skaters. Q: How does one order an extra short axle (to take the brake off) for this skate when ordering? 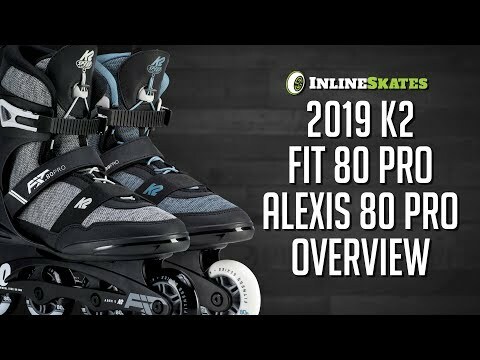 A: The K2 Alexis 80 pro doesn't come with the additional axle for brake removal. We don't sell the axles at this time so you would want to contact customer service and place the order so they can special order the axle for you at that time, or place the order normally and then contact customer service and place a separate special order for the axle. A: Yes, I would recommend the same size skate as running shoe. Yes we ship to Hawaii, please add the items to your cart to get your shipping costs.